In honor of the 500th anniversary of Holland's most famous painter 'Hieronymus Bosch', Studio Kluif designed a series of two exclusive and limited plates. 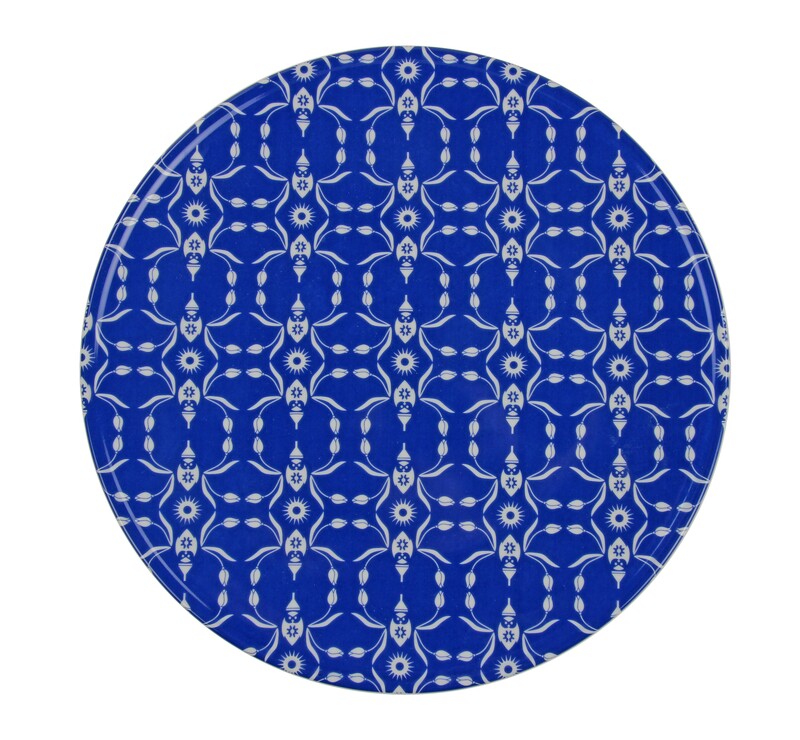 A stylish blue plate with an elegant allover print in white. The plate has a diameter of 31 cm and has a slightly raised rim . Wonderful as underplate at an upscale diner or to present your snacks, biscuits or cheese. Presenting on a 'Jheroplate' brings a topic of conversation for your guests which helps to break the ice immediately. 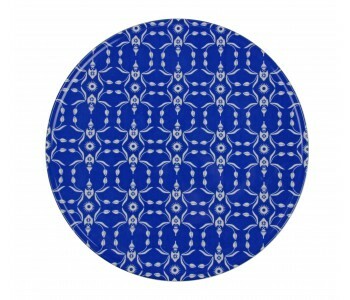 Set the table even better combining this blue additional Jheroplate with its white brother. In honor of the 500th anniversary of Hieronymus Bosch is a series of these plates 'Jheroplate' designed. These plates are designed exclusively for the occasion and are available in a limited edition. 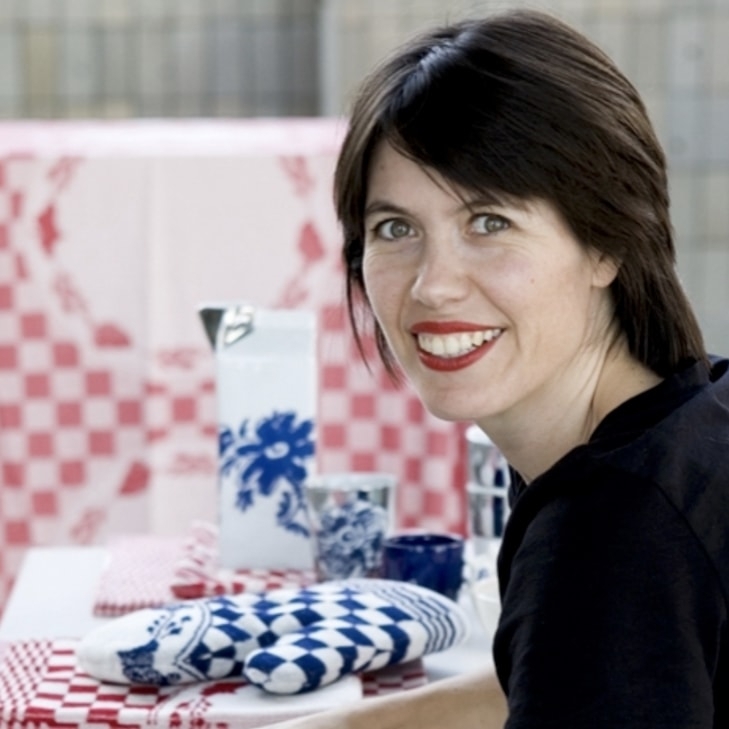 This 'Jheroplate' is a white Jheroplate with Delft blue pattern.